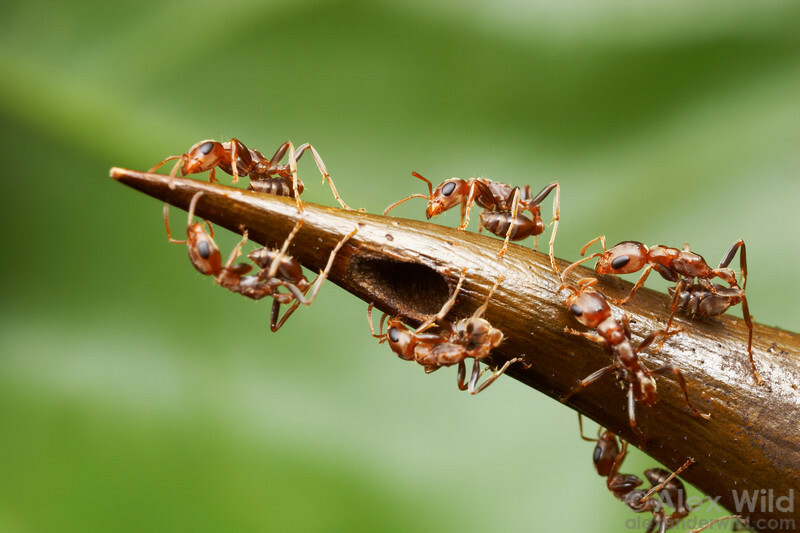 Not all of the thorns on a swollen-thorn Acacia house the ants' larvae, but those that do are heavily guarded. Here, Pseudomyrmex spinicola patrol a nest entrance, ready to use their stings if the photographer approaches too close. Chiriqui, Panama.